"Floating Forest is a symbol for the future plans on water"
Our southern neighbours have also picked up the news: a floating forest? Yes, in Rotterdam! 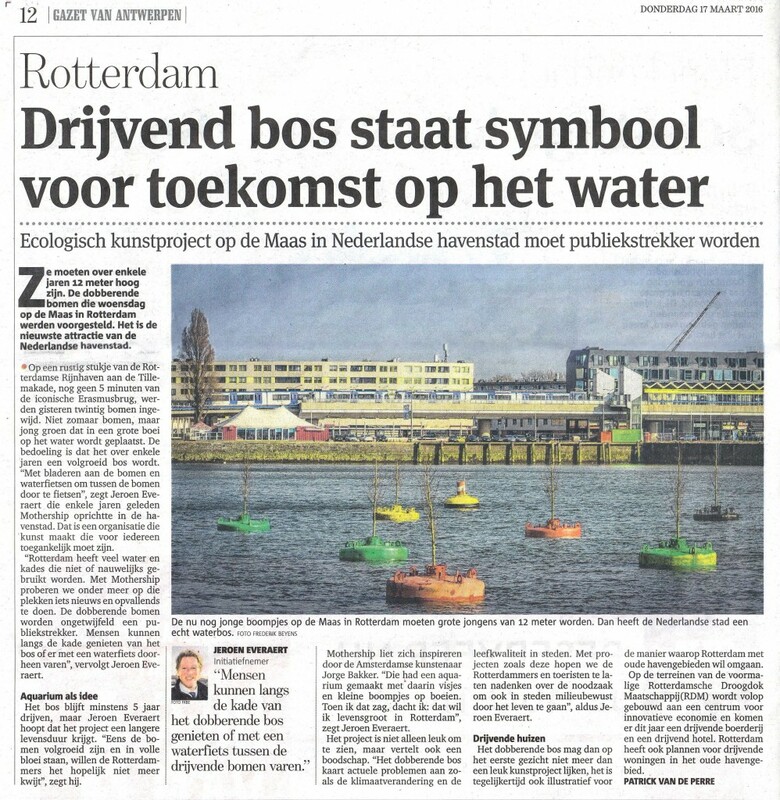 The Gazet of Antwerp has published an article about the Bobbing Forest on March 17. The forest illustrates the many possibilities for the Rotterdam harbours. There are great ambitions for the waters in Rotterdam. You can expect many interesting water projects in the coming years.